Longest current NBA losing streaks: Knicks 16 straight losses, Suns 13, Spurs Timberwolves and Cavs 4. - The Knicks are 20-24-3 against the spread as underdogs this season. - The total has gone over in 15 of New York's 26 games as road underdogs. - The Cavaliers are 11-16 ATS at home this season. - The total has gone over in three of the four games that Cleveland has played as a home favorite this season. 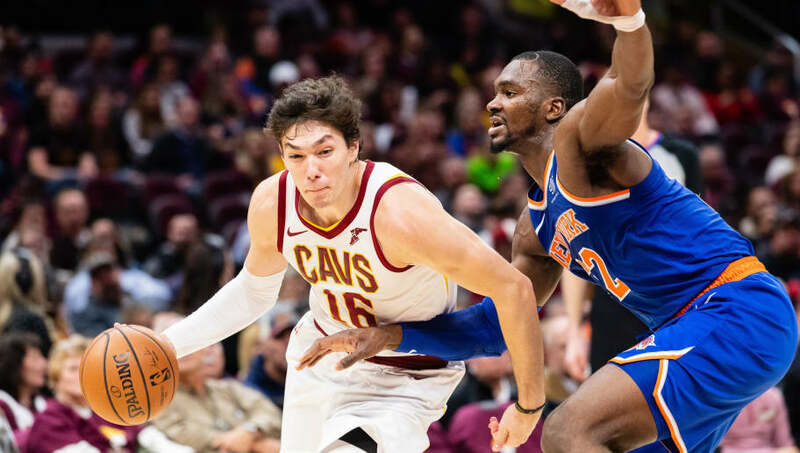 All Knicks-Cavs betting odds, lines and props via FanDuel Sportsbook. - Win Margin: Knicks (1-10) (+200) – In a game between two teams that are likely trying to lose games and improve their draft positioning, this prop is all about value. Cleveland is slightly favored, but this game is basically a toss-up, and the Knicks could certainly find themselves ahead Monday night. Cleveland already won a close game, 113-106, earlier this season in the one series matchup thus far, and we could be in store for another tight one. Not to mention, all of the Knicks' six previous wins have been decided by 10 point or fewer.